This war was fought between the British Empire and the Aro Confederacy. The reason why the war started is because of the growing tension between Aro leaders and British colonialists. There had been ongoing problems between the two and they finally snapped. The Aros eventually won in the Bende and took control of their country and culture again. The first Balkan War was short and easy victory for Serbia, Bulgaria, Greece, and Montenegro. Because the Ottoman Empire was under prepared and didn't have a strong army it was easy for Serbia, Bulgaria, Greece and Montenegro to defeat them. Archduke Franz Ferdinand was assassinated in Sarajevo by Serbian nationalist. He was heir to the Austro-Hungarian throne and this triggered the start of World War 1. World War 1 was also know as the Great War. The trigger for the start of the war was the assassination of Archduke Franz Ferdinand. The war ended up lasting four years and over 15 million people died. This was supposed to be the war the that ended all wars but turned out to be the war that started more wars. The Battle of Tannenbourg was one of first battles of WWI and only lasted four days. This battle was fought between the Germans and the Russians. The Russians lost but stopped the Schlieffen plan from working. The Germans had to take troops from the Eastern front and bring them to the Battle of Tannenbourg so that Russia wouldn't invade Germany. This meant that they didn't have enough troops to complete the Schlieffen plan and take over Europe. After this battle Russia never fully recovered and did't have a big role in many other battles. The Battle of Marne was fought between the Germans and the Allies, Britain and France. The battle only lasted six days and was quite a different battle. It was fought in an area which had lots of different rivers. The main river was The Marne, hence the same of the battle. This was also a very important battle because it was the first of many in World War 1. The Germans were closing in on Paris and the Allies had to do something drastic. They bought in six French field armies and one British army. Over the six days the Allies forced the Germans to retreat and head north east towards Belgium. This battle started the, what turned out to be, four year long trench warfare battle that was World War One. The battle of Ypres was also know as the First Battle of Flanders. It was fought between Germany and the Allies, Britain and France. This battle lasted three week and three days. The Germans considered it as "The Massacre of the Innocents of Ypres". The Germans tried to attack the town of Ypres and even though they made some breakthroughs they never made into the city. The Allies won and the Germans had to retreat. The people of war thought that the war would be over by Christmas. Little did they know that it would last for another 3 years. The Gallipoli Campagnes intent was for the allies to take over the Dardanelles and have control of the water ways into France. The Battle went for 8 months 2 weeks and 1 day. it was fought between the Ottoman Empire and the Allies, Australia and Britain. By the time the battle was over there was over 390, 000 casualties. This battle defined the image of an Australian soldier and formed their identity. The Battle of Verdun was fought between the French and the Germans. 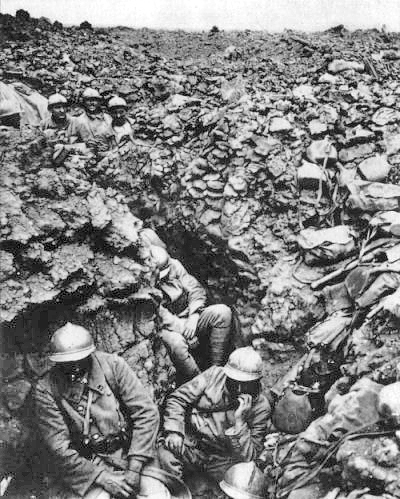 Verdun was the longest battle to happen in World War One. The Germans objective in this battle was not to break through the French defences but to destroy the French man power. This is why the battle, translated into English mean 'Mincing Machine'. The Battle of Somme lasted 4 months, 2 weeks and 3 days. The battle was fought between Germans, French and the British. This was a horrific battle and the devastation started on the first day when over 19,000 men died and 4,000 men were injured. Over the four months of battle the British lost 600,000 men and only gained seven miles. This a wildly large number of men dying in such a short space of time and this was only the destruction for one side of the war. The Russian Revolution marked a new era for the Russians. It happend during World War One which meant that they had to pull out of the war. This revolutions biggest change was their government. They went from having a monarchy to being the first country to ever have a communist government. This event sparked a civil war that went for three years and resulted in Vladimir Lenin taking power.